Keep your colorfully creative cupcake masterpieces safe and secure during transport with this reversible cupcake insert! 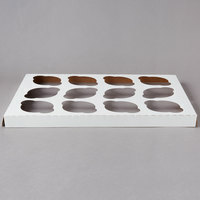 Ideal for special orders and trendy cupcake shops, use this insert with two compartments for personal desserts or birthday treats. 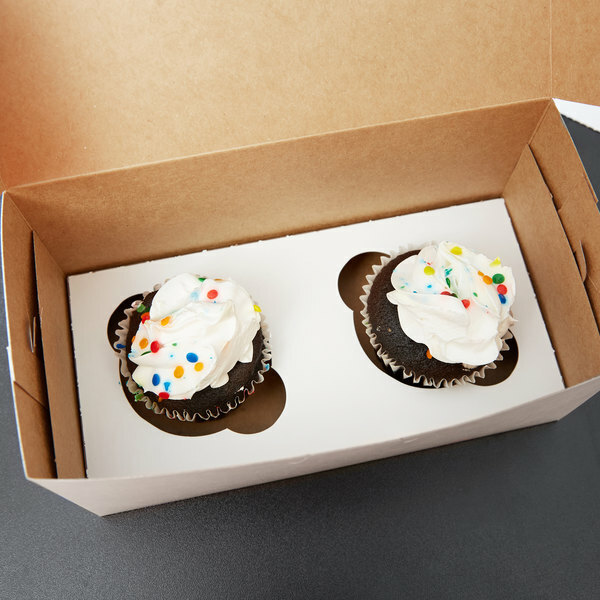 Designed to fit perfectly into 8" x 4" cake boxes, this cupcake insert is a great way to package and protect "to go" specialty cupcakes at your grocery store or bakery, or for promoting impulse sales at your checkout counter, when dessert is being taken on the road. 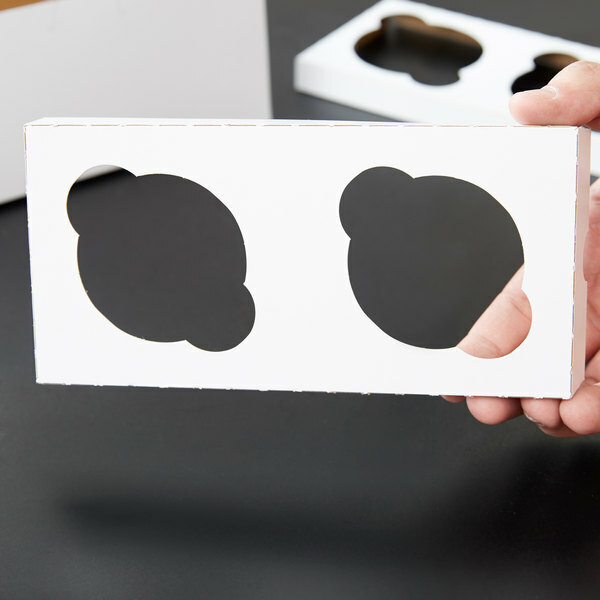 "These work great for securing cupcakes in a box for the customer to take home. 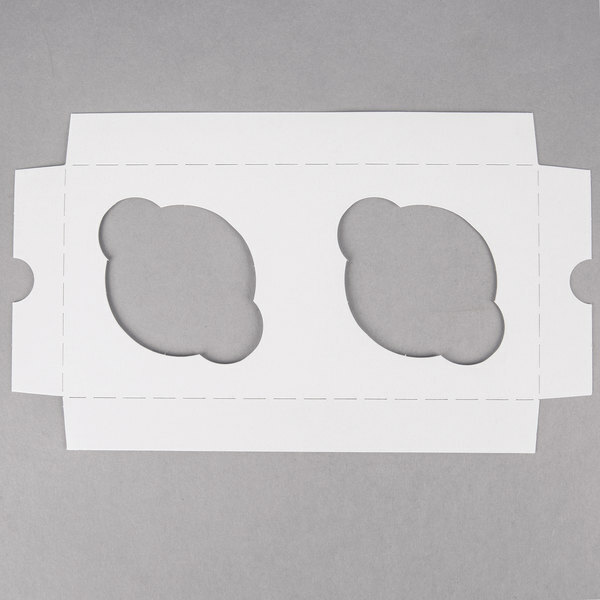 Keeps them from getting banged around and gives the box a more finished professional look." 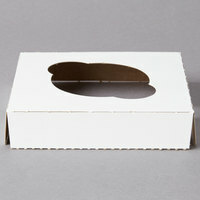 This insert is made of clay-coated kraft paperboard, making it both recyclable and compostable. Use this product if you want to cut down on you ecological impact! 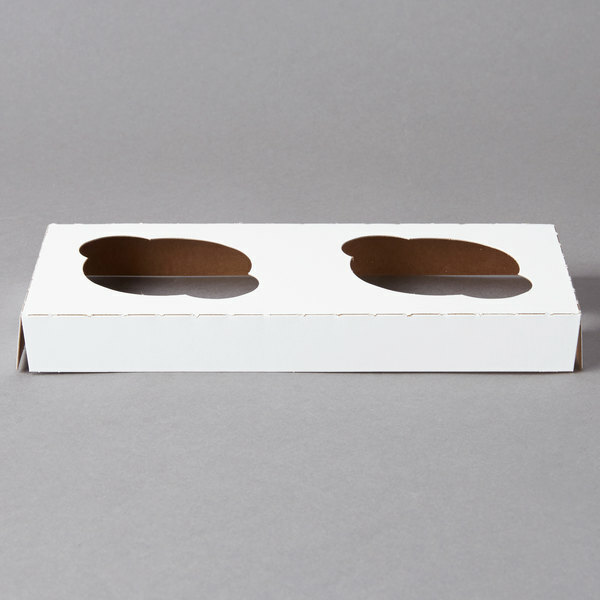 Use this insert on either the white or kraft side to match your bakery box for a clean, professional presentation. 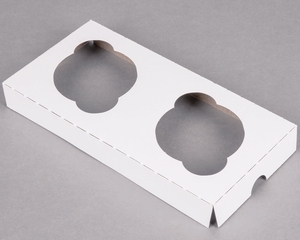 This insert is perfect for protecting your baked goods during merchandising and transport! They fit snugly in bakery boxes, and ensure your decorated, sprinkled masterpieces make it home in pristine condition with your patrons. Your patrons will be pleased when they recieve your delicious creations damage free. 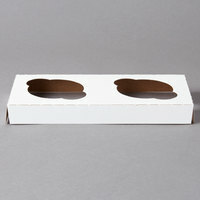 These inserts come in handy when doing sample boxes. I usually sell sample boxes with Cupcakes, brownies & cookies. So your cupcakes don't shift and the packaging is organized and beautiful. These house my homemade cupcakes beautifully - i was trying to decide all day which boxes/holders would work best for my tall delicious homemade cupcakes. These are the winners, good price and professional presentation for my cupcakes. 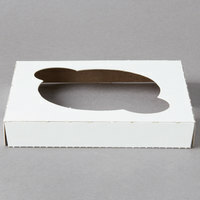 I will be using these inserts when I teach kids cupcake decorating. They are perfect for my needs. Kids will be decorating 3 cupcakes, 1 to eat in class and 2 to take home. 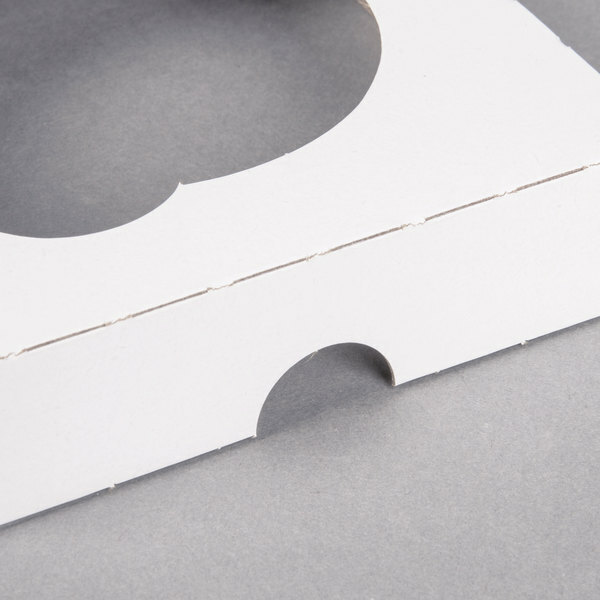 These inserts will keep their projects protected. 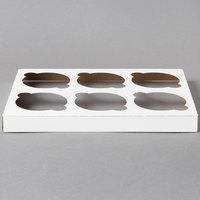 I was a little hesitant on purchasing these, I just don't like adding more packaging and costs to my baked goods. BUT I am glad I bought these. They are very sturdy and help make the presentation look even better . I have cut them in half and used for single cupcakes too! 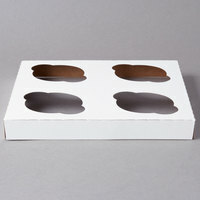 Cupcake Insert - Standard - Holds 2 Cupcakes - 200 / Case work perfectly for holding cupcakes upright during transportation in the boxes. The card board is sturdier than I expected and hold our cupcakes in place during travel. These fit in the box nicely and the price with shipping is still better than any other place online. 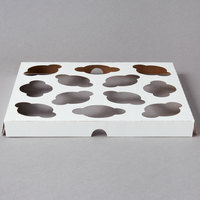 These work great for securing cupcakes in a box for the customer to take home. Keeps them from getting banged around and gives the box a more finished professional look. 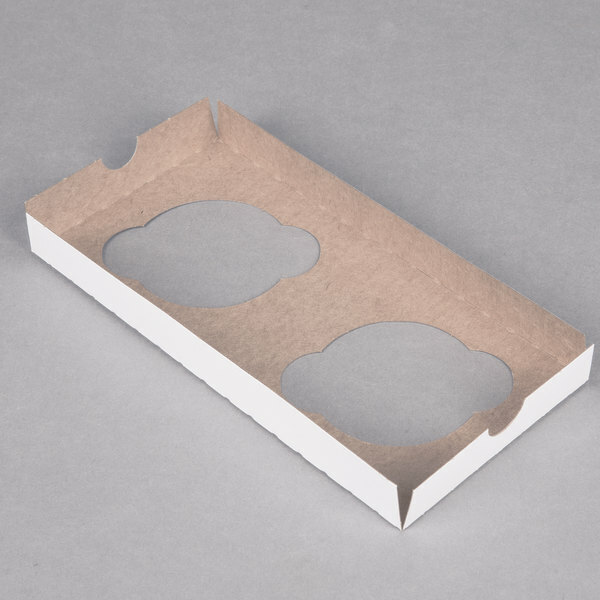 We actually cut these in half and use them for our single cupcake boxes. They are cheaper than purchasing the single inserts that way and still work great! Simply Awesome, these are just what the Doctor Ordered....Literally! These are great and the price was very competitive too. We will be ordering more of these within the near future! I bought the cupcake inserts in two sizes. They give me the versatility of giving and transporting cupcakes for any occasion to friends and family. Love them. 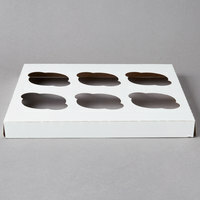 Good product, good price for this ten pack of cupcake inserts. I rarely sale cupcakes by the double but these came in handy when a customer only wanted to purchase two singles. 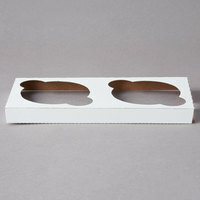 love these standard cupcake holders they can be used both ways, so you can turn them around and use them for a natural color instead of white. 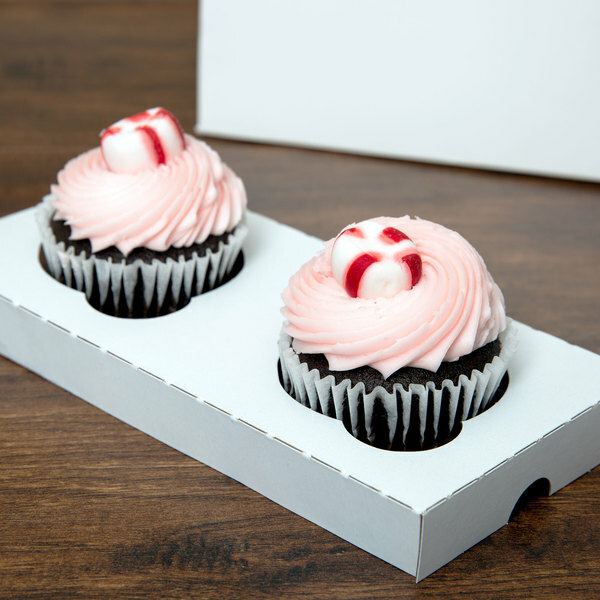 They hold your cupcakes nice and sturdy so that they wont get messed up during delivery.